I'm not gonna lie. I'm pretty fired up today. The challenge for me is making sure it remains a "righteous anger" as opposed to crossing that fine line and becoming pure, "sinful anger" instead (Ephesians 4:26-32; Proverbs 26:4-5; James 1:20; Romans 12:19). Godly anger does not lose its temper. Ungodly anger is excessive and abusive; godly anger never is. Godly anger is always under the control of the one expressing it, rather than anger taking control of them. Lord, please give me the grace to say what needs to be said and to "lead us not into temptation, and deliver us from evil." 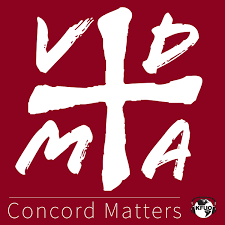 The Lutheran-In-Name-Only Day School that my kids and niece and nephew attend (and where my wife serves as a Teacher's Aide and PTO President) -- also one of the oldest Lutheran Day Schools in existence still today -- has a Non-Denominational/Assembly of God/Pentecostal/Word-of-Faith/Name-It-Claim-It/Miraculous-Signs-And-Wonders Teacher on staff who believes that "miraculous healings" are normative in this day-and-age. I've previously written about my unsuccessful attempts to dialogue with him and why he hates discussing doctrine with us Lutherans. I just learned that he conducted a "private healing session" in the School Gym. Unfortunately, he's succeeded in convincing not one, but two life-long LCMS Lutherans (both are also Teachers at this same school) that he has been "gifted" with special healing powers ("In Jesus' Name!" of course), and that it is possible for him to instantly heal their physical ailments at the drop of a hat. Tragically, one of the "called" Teachers is completely confident that her index finger has been healed by him. The other Teacher showed up for her second "healing session" in as many days, because the first time around he didn't succeed in healing her hip as promised (maybe God likes fingers better than hips?). The point is that she too has been seduced in to believing such nonsense even though it obviously didn't work the first time (maybe it didn't work because she has some "unconfessed sin" in her life or simply "doesn't have enough faith" or something like these Faith Healers would often have you believe), and it breaks my heart to know this kind of false doctrine and false hope has deluded those I care about. Yes, that would be enough to get any Confessional Lutheran upset, especially when you feel like you need to guard and protect God's sheep from the wolves in sheep's clothing particularly when those men who are called and ordained to perform such a task have forgotten their job description. However, there's another crucial aspect to this story that is really fueling my response here today. You see, the Buffalo, NY community was rocked last Saturday when a mother and her two kids were hit by a car that drove off the road and slammed into them while they were walking through one of this area's popular parks on a beautiful sunny day. As a result, 3-year-old Maksym Sugorovskiy was killed while his 5-year-old sister was put in a coma and is also suffering from two broken legs and a broken wrist. The tragedy is all anyone has talked about here as the story has dominated the news and politicians have rushed to change the speed limit and put up protective barriers between the park and the road. Simply put, you'd have to be living under a rock to not know about any of this. My family and I know this family. In fact, we were at a birthday party with them and these two kids just a few months ago since little Maksym's cousins both attend this same Lutheran-In-Name-Only Day School and we're close friends with that family too. So, unless they're all completely clueless and heartless when it comes to "love thy neighbor" (which they're not, by the way), all the Teachers and staff at the Lutheran-In-Name-Only Day School are most definitely well aware of the fact that one of their students has been directly impacted by this awful tragedy. I don't know, maybe it's just me, but if you truly had the power as a "spiritual gift from God" to heal others at will to the point where you often talk about the "divine" and "miraculous" healings that you've either witnessed or caused to happen yourself "by the power of God" (which supposedly includes everything from watching a wheelchair-bound person's leg grow longer so they can stand and walk, to healing people diagnosed with cancer, to people being raised from the dead), then why are you spending your time as a Teacher at this school when you could be traveling the world healing the hurting? For that matter, and to keep things close to home, why are you hosting "private healing sessions" with two of your co-workers when you could be paying a visit to one of your student's family members who is lying dead in a morgue if not also that same student's other cousin who is in a coma and who can't walk? At the very least, why not put the nix on the "private healing sessions" and come together to pray specifically for this family if you won't visit them? Is that too much to ask? Is God's love and healing available to anyone and everyone like you claim it is or only a selective few that you get to pick-and-choose based on how you feel about who deserves it and who doesn't? I'm just asking the questions that no one else dares to for some reason. Perhaps it's due to a sinful fear of man as opposed to a rightful fear of the Lord (Galatians 1:6-10). Anyway, that's the situation and that's why I'm angry right now. We have a self-appointed "Faith Healer" who's running around the school uniting Lutheran Teachers under false teaching all while they do nothing for their student's cousin who sleeps in a coma. Makes perfect sense, doesn't it? I'm sorry, but I find it all rather despicable. Please don't misunderstand me either. I'm not suggesting that I somehow believe he can heal people at will and that's why I want him to visit this family. I'm merely trying to point out the fallacy that this person actually possesses this ability like they claim to. See, a story like this seems to indicate that even he doesn't necessarily believe it all himself. Otherwise, why wouldn't he drop what he was doing and AT LEAST TRY to visit that family in the hospital to see if he can use this incredible "spiritual gift" of his for God's glory? Just try. Whether the family turns you away or not is up to them. Put your money where your mouth is though and try to help one of your grieving students. Why keep such an amazing gift to yourself or give it out to only a select few? I just don't get it. Actually, I do get it, and it has everything to do with the reality that so-called "miracles" are not always "from God" since they can be counterfeits (Matthew 24:24; 2 Thessalonians 2:9; Matthew 7:16; Matthew 7:20). Look, I know this guy means well and that his heart is certainly in the right place (no doubt about it! ), but the tragically ironic thing is that he's doing damage to the faith of those he's trying to help by getting them to accept and believe half-truths and outright lies from the pit of Hell itself. Why sugarcoat it? Does he display the Christlikeness that is a qualification for a messenger from God (1 Timothy 3:1-13)? What if we were to examine his teaching? Is what he teaches in agreement with God’s Word (2 Timothy 2:15; 3:16-17; 4:2; Hebrews 4:12)? If the teacher fails either of these tests (which he does I'm afraid), then he is not performing miracles from God no matter what he might think. It doesn't matter how many miracles are present. If a person does not walk the truth or teach the truth, we can discount any miracles he performs. Again, miracles performed by a false teacher are not from God. All we really need to do is understand that the people Jesus Himself is referring to in Matthew 7:21-23 are people who believe wholeheartedly that they have performed great miracles (many "good works") in Jesus' name, and yet, what does He say about them and to them? "Not everyone who says to me, ‘Lord, Lord,’ will enter the kingdom of heaven, but the one who does the will of my Father who is in heaven. On that day many will say to me, ‘Lord, Lord, did we not prophesy in your name, and cast out demons in your name, and do many mighty works in your name?’ And then will I declare to them, ‘I never knew you; depart from me, you workers of lawlessness.’" Folks, I'm sorry, but it doesn't get any clearer than that. In the New Testament, miracles were performed almost exclusively by the apostles and their close associates. 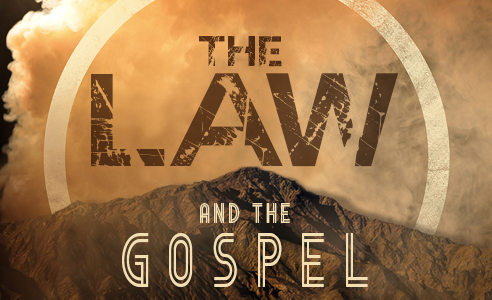 The miracles served to validate the Gospel message (to corroborate the Word of God) and the ministry of the apostles (Acts 2:43; 5:12; 2 Corinthians 12:12; Hebrews 2:4). While we should never doubt God’s ability to perform miracles, the Biblical purpose of miracles should give us a degree of skepticism concerning reports of modern-day miracles. While it is not Biblical to say that God never performs miracles, the Bible is clear that we are to seek after truth, not miracles (Matthew 12:39). It is an interesting conundrum that miracles in the Bible validated the messenger, and yet today, miracles are not necessarily an indicator for a true messenger of God. The difference is God’s Word. Today, we have the complete canon of Scripture, and it is an infallible guide. We have a more sure Word (2 Peter 1:19) we can use to discern whether a messenger and a message is from God. Miracles can be counterfeited. That is why God points us to His Word. Signs and wonders can lead us astray. God’s Word will always light the true path (Psalm 119:105). The most ironic part of this whole story? The man responsible for the accident is a former "Youth Counselor" at an Assembly of God church in the area who resigned in 2012 due to his battle with his own personal demons. Dare I ask why he wasn't healed of his addiction and mental illness if he was in the presence of Assembly of God "Faith Healer" types himself on an on-going and regular basis? Isn't that also a fair and legitimate question to ask under the circumstances? Regardless of the circumstances, let's continue to pray for this afflicted man along with the family who mourns the loss of their son and waits for the recovery of their daughter, because we all know how debilitating mental illness can be. By the way, while they may be a certain spiritual component to such a disease, "demon possession" is not the reason for mental illness nor is a "lack of faith" or "having some unconfessed sin in your life" let alone the "fact" (according to some) that "you might not be a Christian after all." We've covered this topic of "Divine Healing" and "Miraculous Healing" before and concluded there's a lot we should be very concerned about even despite the Lutheran Reformers' apparent penchant for it. The biggest takeaway is that it's one thing to say that "God Can Perform Miracles And Heal The Sick!" because He certainly can if He so chooses and we never want to limit what God can or can't do. It's another thing entirely, however, to say that "God Can And Will Heal You No Matter What!" while also believing that you are His "divine instrument" of sorts, which allows Him to accomplish this task here on earth (the not-so-subtle implication always being that He can do nothing without your contribution and help). We need to prayerfully consider these truths since there are far too many false teachers out there who are using "false signs and wonders" (2 Thessalonians 2:9) to their advantage to deceive millions of the "elect" (Matthew 24:24; Mark 13:22). In fact, this sad reality seared my eyeballs once before when this very same so-called Faith Healer's Facebook status was all about how he was invited to "preach a sermon" and to then pray over many people with emotional and physical health issues after the sermon. Others in attendance "witnessed the miraculous healing" on display and had no doubts whatsoever since they "knew God would show up!" because He always does whenever this particular person is around...or so they say. Ugh. If I'm going to try to speak "the truth in love" (Ephesians 4:15), then I think it's quite fair for us to ask why all the Christians (clergy and laity alike) who constantly make claims about "divine/miraculous healing" week-after-week aren't all quitting their day jobs right now to cure the sick, raise the dead, and rid the world of diseases and sickness once-and-for-all. 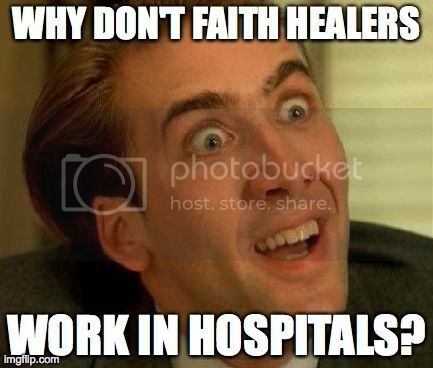 I mean, why don't we see the self-proclaimed "Apostle"/"Faith Healer"/"Miracle Worker" serving in hospitals around the world today on a regular basis? I'm sure they'd say it's because "God hasn't told me to do that yet!" which is a whole other article for another day! Some won't like me pointing this out I'm sure, but let's be honest. Wouldn't that be the most "loving" thing you could do for your neighbor, especially if you truly believe you have the power (a.k.a. the "spiritual gift") to legitimately heal people? God's Word provides us with the answers to those questions (Matthew 24:24; Matthew 7:21-23). By the way, it's the Word of God that should be most prominent -- not the miracle itself even if it is real. Martin Luther repeatedly taught that miracles were always intended to corroborate the Word. Ewald M. Plass adds that "Luther grants that miracles are possible even today, though they are unlikely since we now have the written and preached Word to satisfy our every need. The miracles of Christianity are like bells which announce that the preaching service is about to begin. But when it has begun, they cease to ring, having served their purpose. So the miracles of the New Testament era called attention to the fact that the completed redemption was about to be proclaimed." What about God and suffering though? How do we answer the age old question: "Why Does God Allow Bad Things To Happen?" What should be our response to a tragedy of any kind? This is the question on everyone's mind in the aftermath of any kind of devastating loss whether they're a Christian or not. What is the proper Biblical response to such things? How are we Christians expected to answer the questions that are likely to come from non-believers in our lives? Or the questions that we'll likely have ourselves? 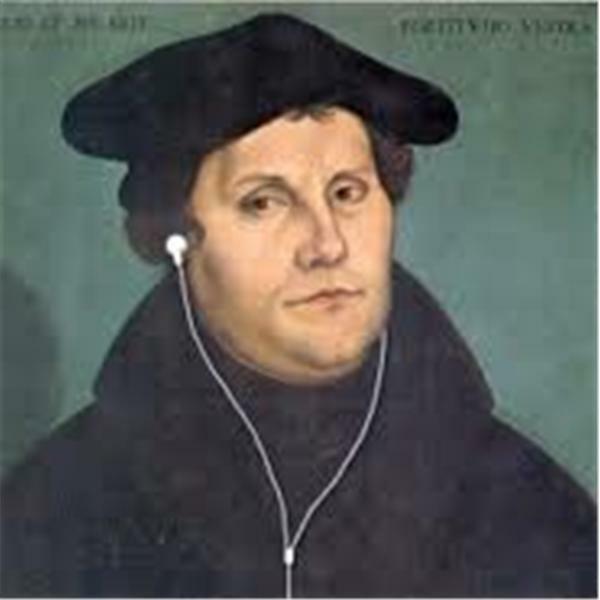 This is an excellent 20-minute sound byte from the Lutheran radio program Issues, Etc. that I saw referenced over at Steadfast Lutherans a couple of years ago in response to the Boston Marathon Bombings. 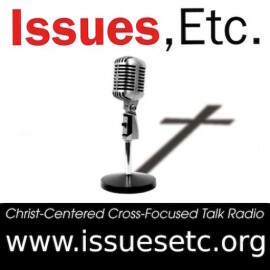 Anyone who has ever heard Pastor Bryan Wolfmueller on Table Talk Radio or Issues Etc. knows he is a faithful confessional Lutheran pastor. He was recently on Issues Etc. talking about God and Suffering in the wake of the Boston Marathon Bombings. The words of joy and hope we have in Jesus Christ were perfectly confessed in Pastor Wolfmueller’s interview with Pastor Todd Wilken. In times of suffering and tragedy, the only comfort we have is the cross of Jesus Christ for the forgiveness of our sins. I hope you will take the time to listen to it and also continue to support Issues Etc., Table Talk Radio, and the Around The Word Journal. I pray that his response was comforting and helpful (hopeful) to you regardless of your circumstances right now. Just remember the truth, my friends. Until that day, please continue to pray for all those who are hopeless, hurting, and lost in their sorrow. 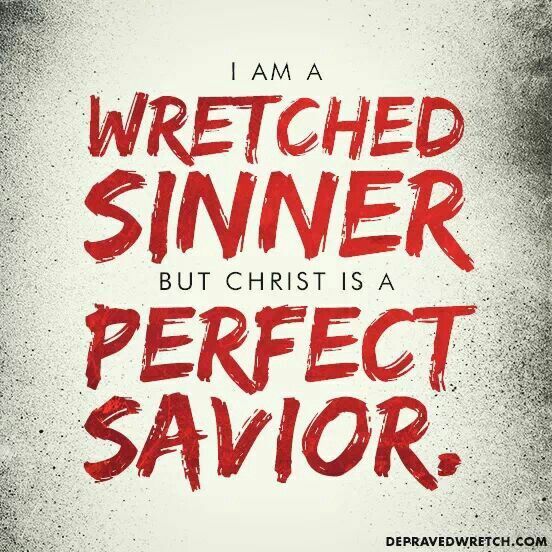 In a Lutheran layman's terms, it's always about Jesus and preaching Christ crucified for the sins of all mankind, always about His Word and Sacraments, and never about us "cooperating with" or "helping" God let alone about "Jesus working through me as His divine instrument!" when it comes to so-called "miracles" today. At the end of the day, I'm upset because this is nothing but a story of a self-proclaimed "Faith Healer" who successfully united two Lutheran Teachers under his false teaching all while one of their student's cousins lies in a coma after another had already died. So, please don't preach to me about "God's love" being manifest in your "miraculous" good works if you can allow that to happen without a second thought being the one who decides who should and shouldn't receive such divine gifts from your own hands. What Is A 'Confessional' Lutheran? So What Is It To Be A Lutheran?